The sports schedule will include the Two Oceans Hermanus Whale Festival Old Harbour Open Water Swim on Sunday 30th September. There will be strict supervision from the NSRI. Medals will be given to all finishers and cash prizes for 1st,2nd and 3rd. The sports schedule also includes the Cliff Path Night Run from Grotto Beach to New Harbour on 03 October, Mtb Challenges – Curro School on 06 October and Trail Runs – Curro School. 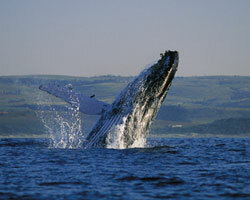 Thousands of people gather to witness and enjoy this spectacular event with the Whales being the star performers.